While waiting for the snowmageddon (1-3″ lol) to arrive, I was wondering what to cook that would satisfy my craving for something spicy, comforting, and filling. I had shrimp in the freezer and really wanted to incorporate it into a meal. I scoured Pinterest and the internet and gumbo kept coming up. This is what I came up with and I’m so excited to share it with you. 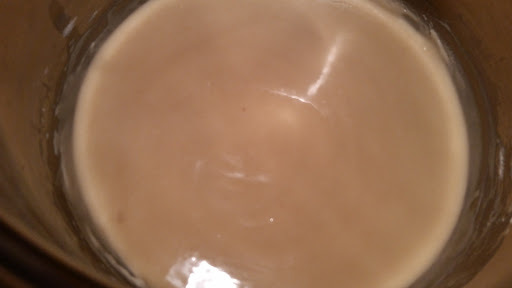 Begin by making a roux. Add the oil and flour to a large, heavy stock pot on medium-high heat. Stirring constantly, you are looking for a smooth, chocolate looking ingredient. 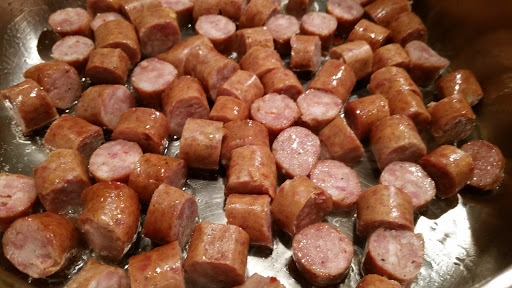 In the meantime, in a large pan, brown the sausage. Remove and add the chicken cooking until it is about 2/3 cooked. 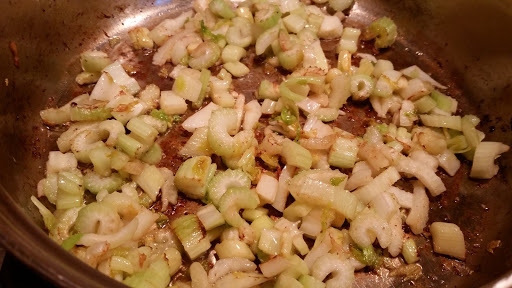 Remove the chicken and add the celery, onions, pepper, and garlic to the pan. Saute until slightly tender. 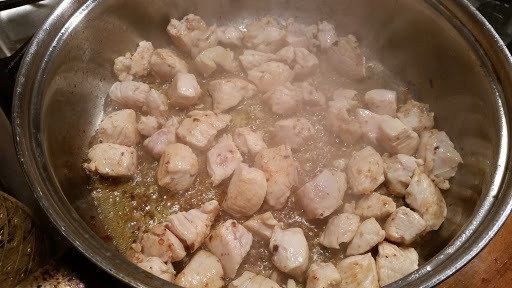 Remove these and add 1/2 cup chicken stock to deglaze the pan. Add the vegetables, the pan juices, tomato paste, and the remaining chicken stock to the roux, mix well, and cook for 5-7 minutes. Add the cajun seasoning* and let simmer for 2-3 minutes. Check the roux for seasonings and add seasonings until you achieve the taste you like. Add the chicken and sausage and bring to a boil. Add the shrimp and cook for 2-3 minutes until the shrimp is just cooked. Serve over rice with a large piece of garlic bread…oh my! It’s delicious! * cajun seasonings vary in flavor. 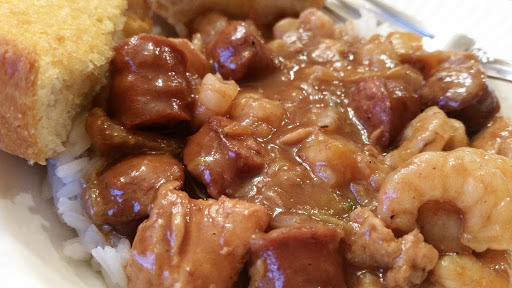 I like a “kick” to my gumbo, so I added cayenne pepper to achieve the flavor I was looking for.